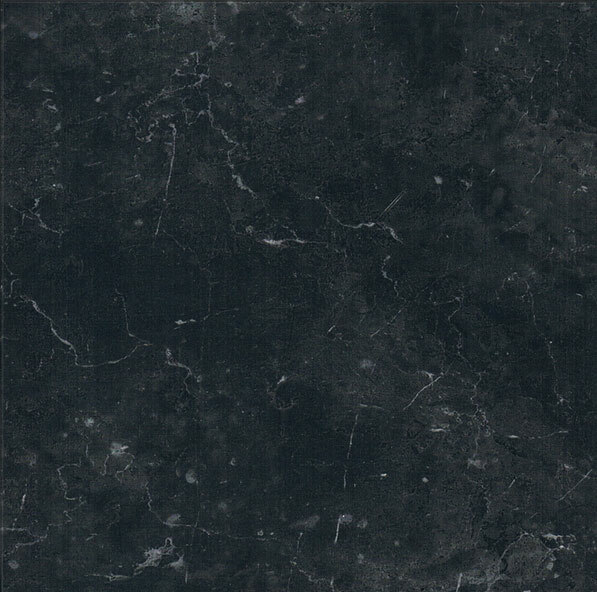 Dark Grey Granite all honed Oval Top Headstone and Base, with sandblast lettering in Gold. 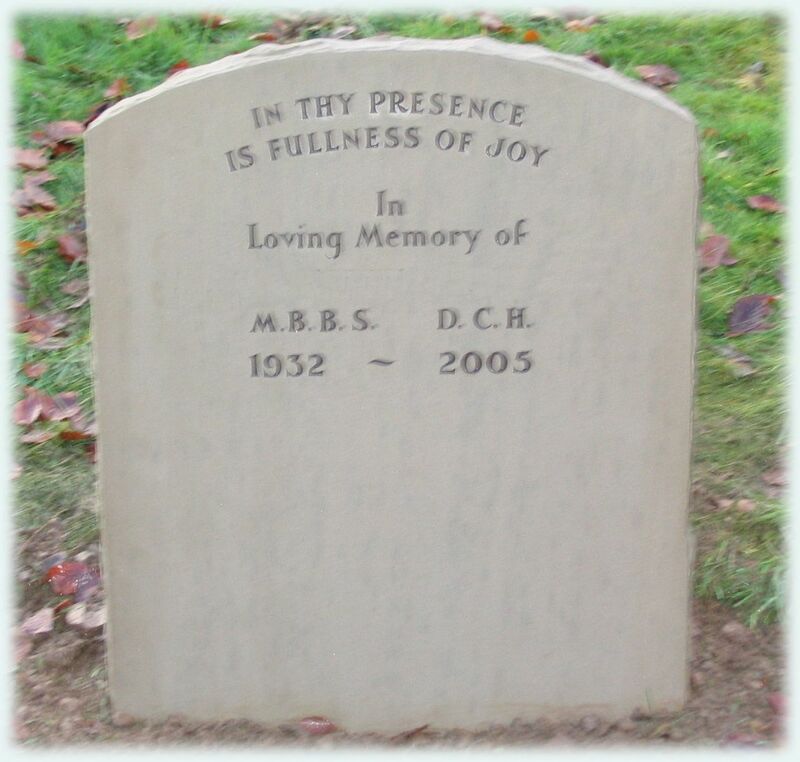 York Stone Oval Top Headstone with pitched edges, hand cut lettering in Brown Enamel. 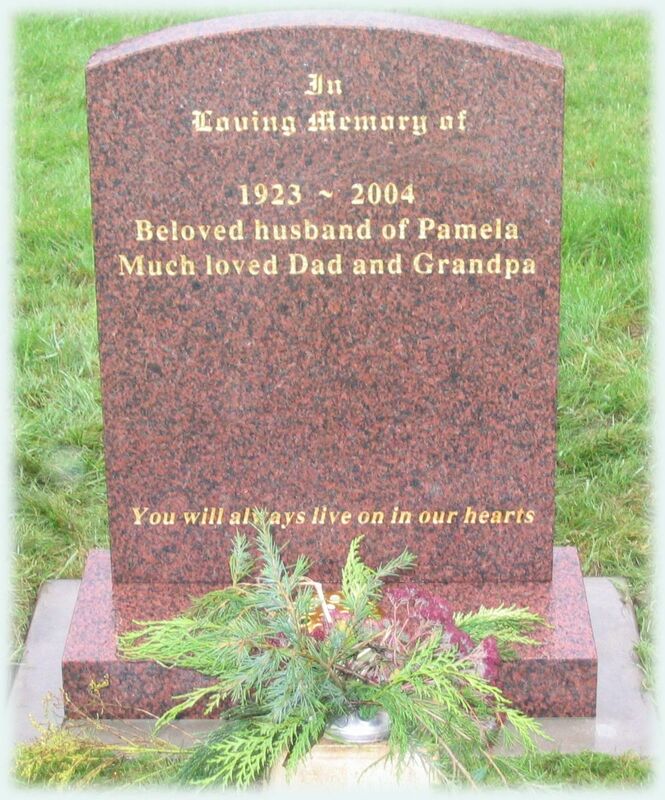 Balmoral Red Granite all honed Oval Top Headstone and Base with Sandblast lettering in Gold. 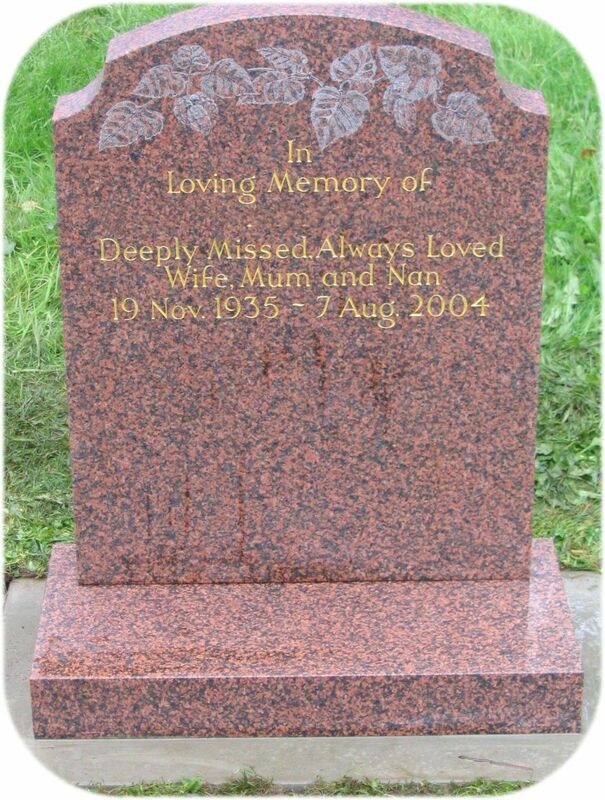 Balmoral Red Granite oval top with scotia headstone and base with hand etched leaves across top and hand cut lettering in gold. 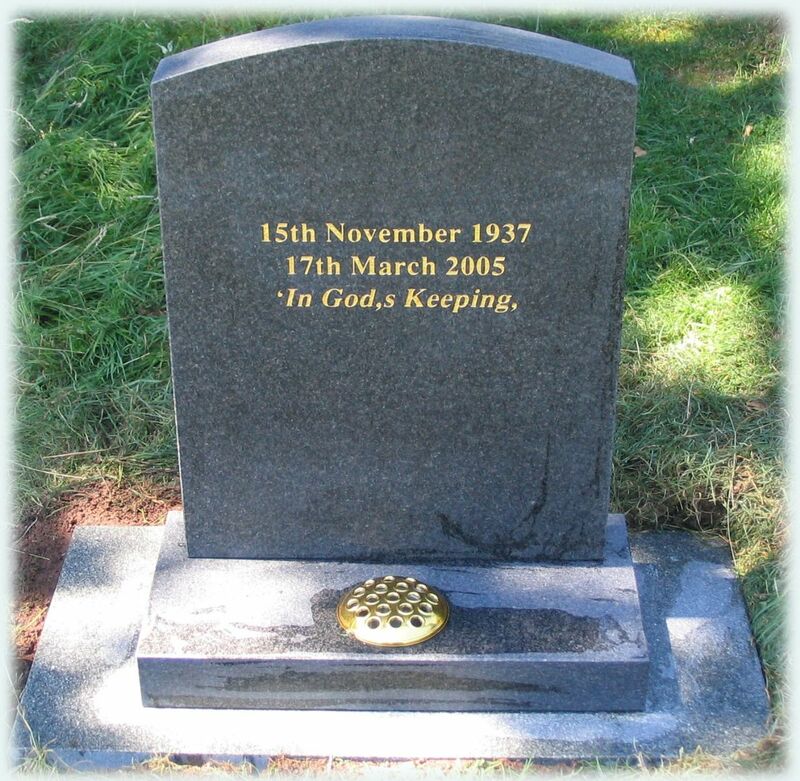 Brown Sand stone Oval Top Headstone with sandblast lettering with no colour.